For more than two decades Goldwind has been innovating for a brighter energy tomorrow. 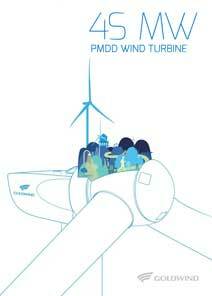 The Goldwind 4S MW PMDD platform is part of that innovative future. The GW4S turbine is a direct evolution of Goldwind’s portfolio of wind turbine generators that offer best-in-class energy production, smarter controls and industry-leading availability. Smart features. Through Smart Sensing, strategic sensors monitor key components, enabling predictive diagnostics and precision control. Based on Goldwind’s big data analysis of tens of thousands of installed direct-drive turbines and more than 20 years of wind energy expertise, Goldwind had developed advanced optimized control algorithms for maximum energy capture. High reliability. The gearless drivetrain design, eliminates the possibility of gear failure during the operational life of the turbine. Goldwind’s own toothed belt pitch drive system simplifies pitch system maintenance requirements. Highly adaptable. 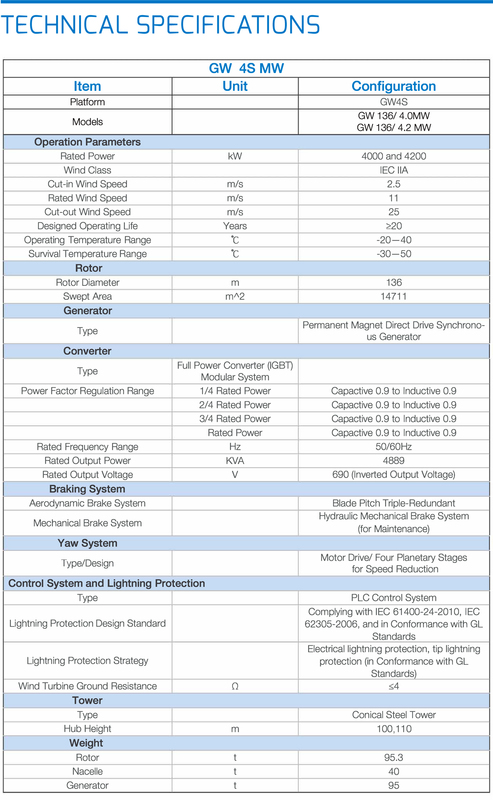 Grid adaptability: excellent zero, low and high voltage ride-through capability, and compliant with global standards. Maintenance adaptability: dual circuit design generator and converter enables partial operation when one circuit is compromised. Environment adaptability: flexible operation modes enable adaptation to extreme environmental conditions such as high and low temperature, noise constraints and challenging wind conditions. 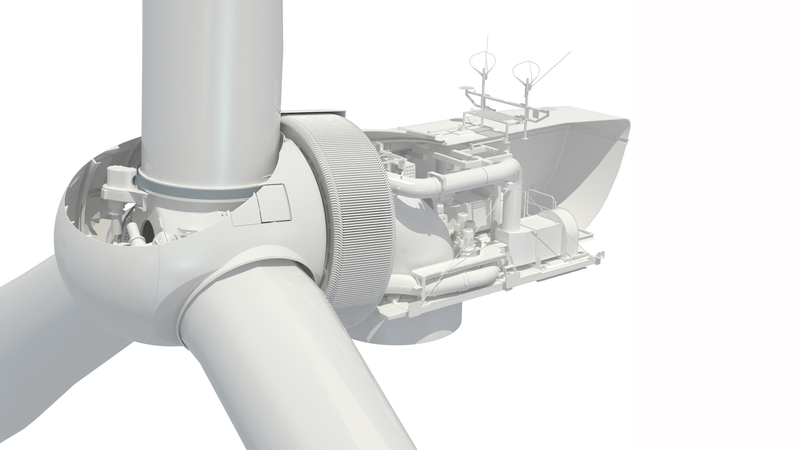 Gather more technical data by downloading our GW4S MW turbine brochure.